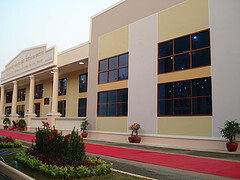 The workshop building of The National Institute of Education (NIE) has been established and hornored to open for use during the opening ceremony, on March 1st, by the prime minister of Cambodia, Samdech Hun Sen and Lok Chum Teav. 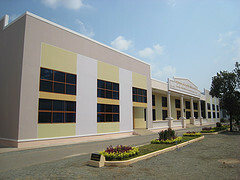 The new building is equipped with mass participant room, translation room, and more modern directory rooms. The mass room can house participants around 1500 people with standardized chairs. The building was donated to be built by Ouknha Mong Rithy and Lok Chum Teav, under the recommendation from the Cambodian priminister. The new wrokshop building is frontly decorated by the newly attractive garden with nice benchs along the way. 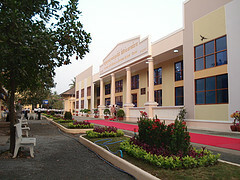 New workshop building at NIE on the opening day.